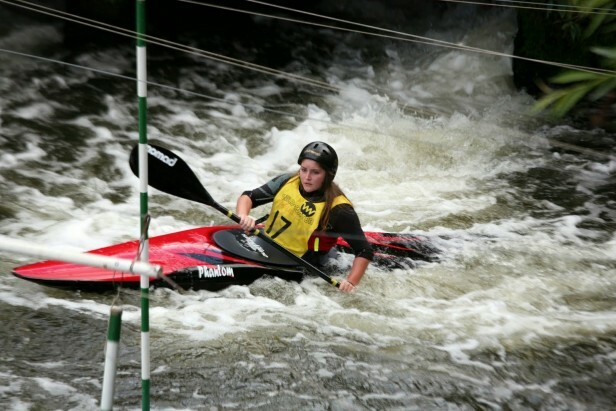 The Division 1 slalom can be entered by Division 2 paddlers as a paddle up. Division 3 paddlers can enter the race as officials, you will need to help with the judging but it is good experience. The Division 2 Slalom can be entered by our Division 2 paddlers and our Division 3 paddlers as a paddle up. The Water at Shepperton can be very powerful and rough at this time of year, however, it is dependent on weather conditions and if it rains or not in the Thames catchment basin. The current levels of water are not high. The event is organised by Shepperton Canoe Club, who are very supportive of The Sharks and therefore it would be great to support their events. On the weekend of 2nd and 3rd March, there is also an event at Dulverton, which is a Division 3 and Division 4 slalom. Division 4 is entry level and the Division 3 event may be more suitable for our Division 3 paddlers, although it depends on the water levels. You can enter Division 1 slalom on-line here. The Division 2 can be entered by clicking here. 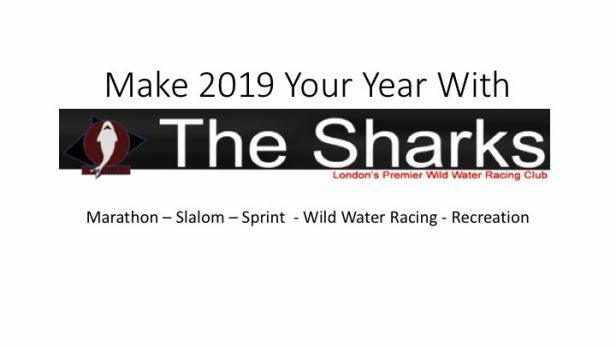 For advice on entering events, either talk to coaches, Rick or Neal at our sessions on Sunday morning or Wednesday evening; or email slalom@thesharks.org.uk or call 07951 770241. If you are a paddler that has previously raced but are no longer ranked, you can apply to be re-ranked by visiting the Slalom Website page. 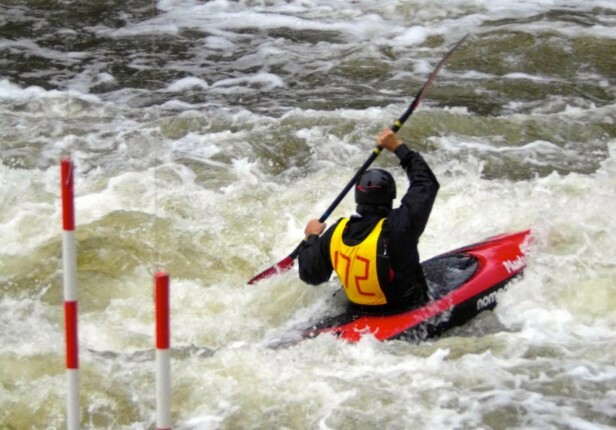 To race in Division 3 or above you need to have a bib, you can apply on the slalom canoe web page.